Once upon a time in a land far away there lived a family that went by the name of Flats. Everything in their world was FLAT. They had Flat cat, a Flat dog, and even a Flat house. This one dimensional land of Flats is just what they dreamed it would be. The colors in the land of Flats are very pretty and bold… Rouge, Sky Blue, Grass, and Butterscotch to name a few. From flowers to polka dots and plaids, you’re sure to find something for everyone. Come and play with the Flats in their land far away. 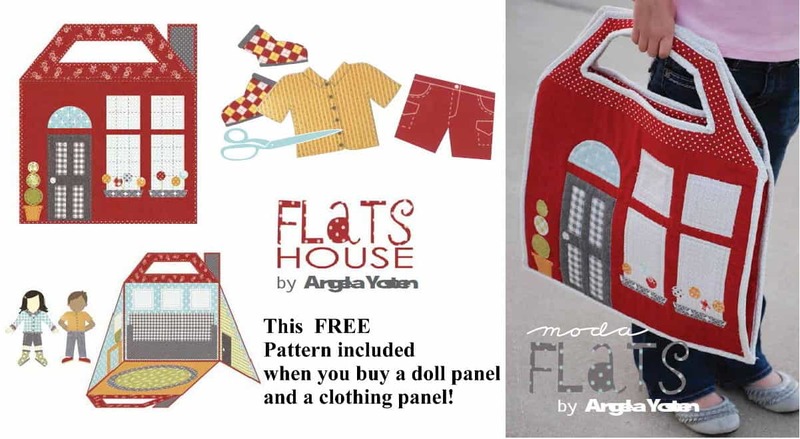 *Buy both a clothing panel and a doll panel and receive the flats house pattern shown above for free!